Centre de Flacq is a town and the capital of the district of Flacq in east-central Mauritius. Population of Flacq District is approximately 17.710. Flacq is connected to the road that links with the capital city of Port Louis and provides access to the coastal road. Center de Flacq is a typical Mauritian town, mostly of inhabited by the Indians. Climate in Summers (September – April) is about 25°C – 33°C and in Winter (May – August) 21°C – 24°C. There isn’t a lot for tourists to look at in the Eastern area of Mauritius, though some tourists like to visit Centre De Flacq for its pleasant market town and some nice restaurants. Centre de Flacq is a regional gateway and you can get direct buses to Flacq from Port Louis’ Immigration Square bus station and Rose Hill, Curepipe, Mahébourg, Trou d’Eau Douce, Palmar and Poste Lafayette. Flacq (which is a name of Dutch origin) was an area known to the Dutch during their occupation of the island in the 17th and 18th centuries. The area of Moka was developed with the arrival of the French in the 18th century. The District of Flacq derives its name from the region’s topography (the name Flacq is derived from the Dutch word ‘vlakt’ meaning ‘flat’) and this inspired the Dutch in naming this large Eastern District. Dutch established a garden and numerous important settlements in Trou d’Eau Douce which they named Cronenburg and in Grande Riviere Sud-Est because of the quality of soil they found there. Centre de Flacq is a remote city in the east of Mauritius. While there is nothing much to do here, but if you are bored with the beaches then you can go there for chaotic markets and big crowds. The range consists of garments, fabrics, fruit and vegetables. There are two places which are very famous in Centre de Flacq which are worth visiting, 5.5 km north-east, the village Poste de Flacq. This is the Hindu Temple Shir Sagar Mandir, which is situated in a very beautiful location on a tiny peninsula, surrounded by mangroves trees filled with birds, from where you can see beautiful view of the Saint-Géran hotel. About 5 kms precisely at manes in Central Flacq near the river”cere” you will find the sugar mill which is one of the largest in Mauritius with all modern equipments. To your surprise the sugar factory produces one quarter of the electricity on the island. The waste product bagasse which is remained after removing the juice from the sugarcanes is burned and this material serves as fertilizer for the fields. 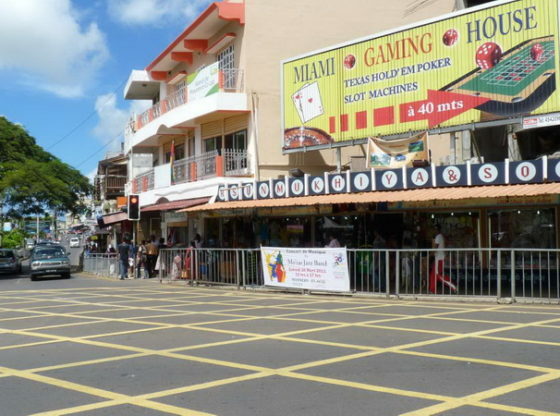 If you want to take the gaming experience then you can visit Miami Games which is a modern chic/classy gaming house situated in the Centre of Flacq. You can enjoy the vibrant ambience and gaming experience that they offer, as well as regular Cocktail nights and other organised events. It is also the place where everything can be found, from jewellery to handicraft at the cheapest prices. It is only 15 minutes from Belle Mare public beach and some of the best hotels of the island like The Saint Géran, Coco Beach, Belle Mare Plage Hotel, Ambre Hotel, The Residence, Price Maurice and the Touessrok which are only a few minutes away from the village centre. We provide you with all the information you need to explore Mauritius.